Audioboom / Space Nuts with Dr. Fred Watson & Andrew Dunkley Episode 31 - Back to the moon! 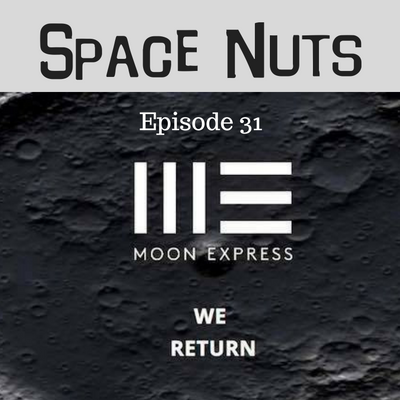 Space Nuts with Dr. Fred Watson & Andrew Dunkley Episode 31 - Back to the moon! Hi everyone, Andrew with the Show Notes for Episode 51. *Moon Express have received approval to take us back to the moon. Fred has the details and back ground...plus a Space Pirate? Subscribe, rate and review at iTunes, audioBoom, Stitcher, Pocketcasts, Podbean, Podcast Addict, Tunein Radio, Radioline and now...Google Play (US only at the moment...it's a Google thing)...plus all good podcatcher apps.